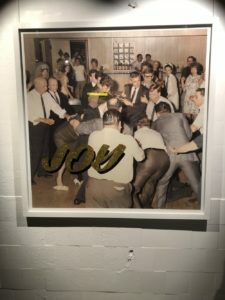 Last night the Louder Than War crew spent the evening at the HM Electric Gallery in London supporting IDLES’ incredible art exhibition. 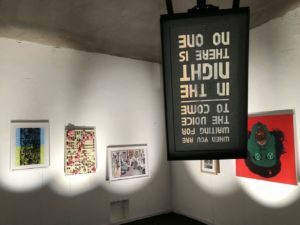 Twelve pieces of art were crafted by twelve artists, including lead singer Joe Talbot, each representing songs from their new album ‘Joy As An Act Of Resistance’. The whole band were there meeting guests and even serving drinks. 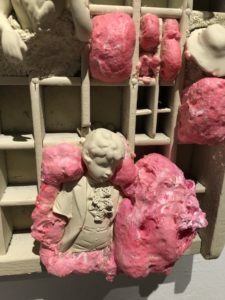 Joe’s father created the biggest art piece, a boat propped up with large oars whilst Joe sculpted a display of pink and white Victorian doll heads oozing out of square pockets. 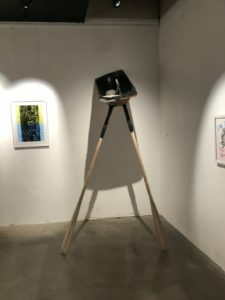 You can also see the new album artwork there and many other striking pieces. The post-punk band have been busy collating the event with all proceeds going to Samaritans and the artwork will be auctioned online soon. 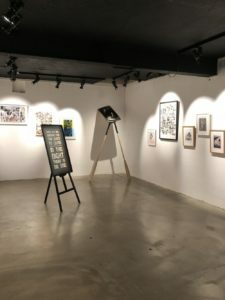 The free entry exhibition is open to the public today between 12 lunch and 8pm and is the only place you can have a chance to see all of the art pieces and get your hands on a copy of their new album before the release date. You can read a fantastic, in-depth interview with the band written by Ged Babey Here.